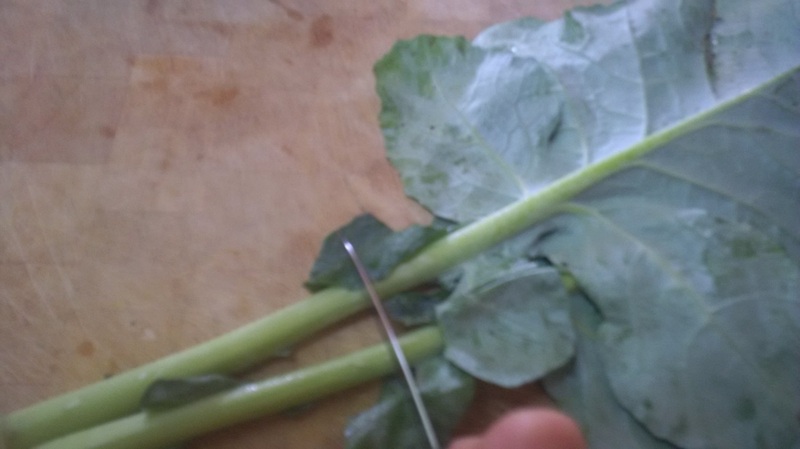 Flip the collard greens over so that the “spine” from the stem is facing towards you (you’re looking at the rough side of the leaf). With a small paring knife, carefully shave the spine of the leaf down so that it’s almost flush with the leaf itself. 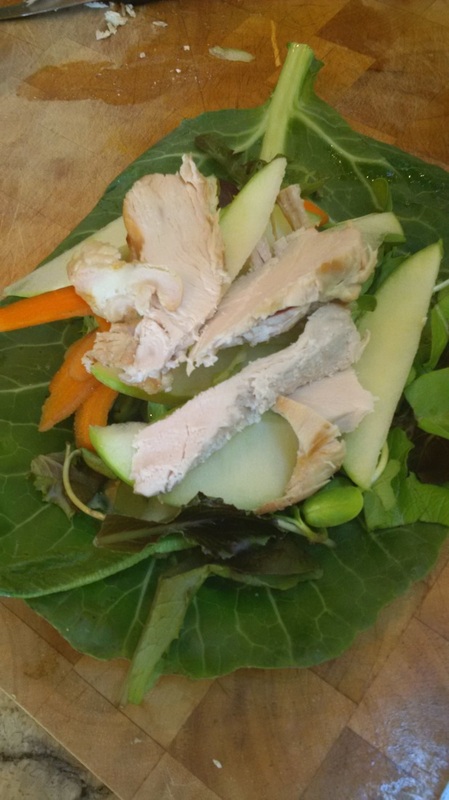 Doing this enables you to more easily roll the leaf. You need a really sharp knife for this step. Be careful not to pierce the leaf itself. Take a carrot peeler and peel the carrot. Press your peeler hard against the carrot so that you get long thicker slices of carrot. You can use a mandolin too if you have one. I don’t so I just used a carrot peeler. It achieves the same desired effect. 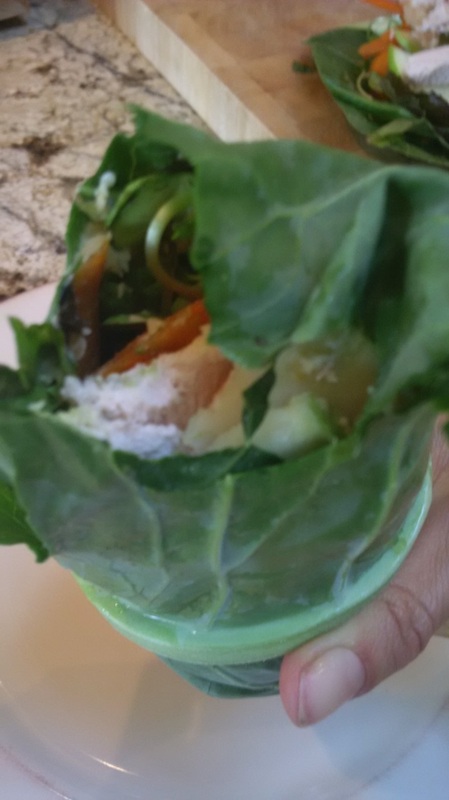 Add carrot to the wrap (you may have to cut the carrot slices in half if your carrot is long).